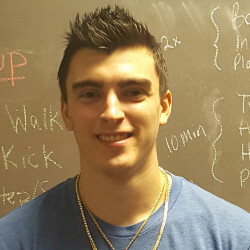 Get to know our friendly Fitness Together® Personal Training Staff at Ashland. Bob Savin is a 20-year veteran in the field of health and fitness. He has a degree in Clinical Exercise Physiology from Boston University, and was certified by the American College of Sports Medicine as a Health/Fitness Instructor in 1995. Additionally, he earned the title of Cancer Exercise Trainer (CET) also through the American College of Sports Medicine in 2009. He continued his professional growth in 2014 with his Level 1 FMS Certification from Functional Movement Systems and in 2015 with his Exercise Nutrition Certificate from Precision Nutrition. Bob has managed both large and small health clubs in Massachusetts, developed worksite wellness programs, and has helped design and manage corporate wellness programs for companies such as Intel and Digital Federal Credit Union. He has personally trained hundreds of clients of all ages to reach their health and fitness goals. Bob also has experience in sport specific training. He has developed programs for hockey, golf, tennis and skiing. In his free time, Bob plays hockey with a local men’s hockey league. As a former competitive hockey player, he has played with and against some elite professionals and enjoys staying connected to the game. From 2008-2011 Bob was part of the coaching staff for the Hopkinton boy's varsity ice hockey team. He enjoyed helping the young athletes learn about hockey strategy as well as concepts in sports nutrition and exercise conditioning. Currently, as owner of Fitness Together Southborough and Ashland, Bob takes pride in helping clients achieve their health and fitness goals. "I really enjoy what I do. Having a successful business and knowing clients needs are met is one thing, but actually helping clients get into the best shape of their lives, that is amazing!" 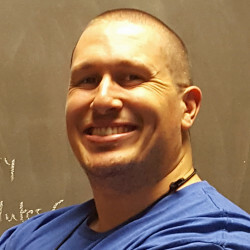 Trent holds a Bachelor of Science in Exercise Science from California State University Fresno and is working towards a Master of Science in Exercise Science at Merrimack College. 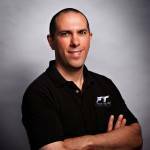 In addition, he is a Certified Strength and Conditioning Specialist with the National Strength Conditioning Association (NSCA). Trent has been training professionally since 2011 and is very experienced in weight loss programs, barbell/Olympic barbell movement training, and sport specific training. He considers all his clients to be athletes whether they are all looking to perform to their best of their abilities in everyday life or competition. He has always been an athlete in multiple sports and currently competes as an Amateur Strongman Athlete. He is an enthusiastic about working to improve the lives of others through physical performance and wellness coaching. Adriana has been a dancer her whole life and was introduced to the world of fitness the summer following her sophomore year in college, when she interned in the fitness department at Canyon Ranch Health and Wellness Resort in the Berkshires of Massachusetts. There she was introduced to numerous fitness techniques, learning about cross training and the benefits of each form of fitness on their own and in combined efforts. Her main personal fitness goal was to enhance her dance with strength and control. It has since become a lifestyle of staying active, continuous training and trying new things to challenge her own strength, mentally and physically. Adriana graduated with her Bachelor of Science degree in Kinesiology and a Bachelor of Fine Arts in Dance from the University of Massachusetts Amherst in May of 2018. She holds her Personal Training Certification and Group Fitness Certification through AFAA (Aerobics and Fitness Association of America). Her training philosophy is based on her career in dance where she found fitness elevated her skills and strength making her a better dancer. 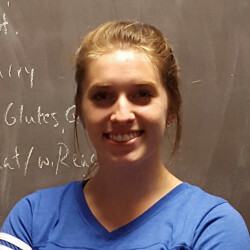 She aspires to help her clients achieve their personal fitness goals and help them understand why fitness and functional training has a place in their lives. Valerie earned a Bachelor of Science in Physical Education & Adult Fitness from State University of New York (SUNY) at Cortland in 1995. She worked as a fitness instructor for several years and was certified by The American College of Sports Medicine as a Health Fitness Instructor during her short training career. She has nearly 10 years of corporate administrative experience and maintains her own business supporting several clients on a freelance basis. Valerie assists FT Ashland by providing office support, event planning and all around organization assistance.